Taiwan-based handset manufacturer HTC said Monday that it will withdraw from the Korean market after repeated failures to make a noticeable dent here. The news come amid hard times for HTC, which announced last week that it posted $246 million in net profits for the second quarter, down 58 percent from a year ago. “Our withdrawal here will be a long term process and not an immediate one as we want to cause the least disturbance for our customers here and continue after-sales services,” said a local HTC representative. The representative added that moving out of Korea was to “increase efficiency for our business operations in the future.” The firm has been suffering from lowered demand for it devices globally and lags behind competitors Samsung and LG Electronics. It folded its business in Brazil in June. It has been widely speculated by industry experts that HTC is mulling a retreat since last month when Korea manager Lee Chul-hwan was fired. He was removed only six months after he took the post, while an HTC representative insisted that a replacement for him was being considered and the company had no plans to withdraw. HTC had a new smartphone slated for release here in the second half of the year but it is now unsure whether the plan will be maintained, said the representative. Like HTC, many overseas mobile phone powerhouses have had their share of failure here due to the overwhelming market shares of Pantech, Samsung and LG Electronics, according to industry analysts. Kim said the three firms also have an intimate, long standing business relationship with Korean telecommunications companies SK Telecom, KT and LG Uplus that foreign companies can’t match. “Motorola was probably the only non-Korean company to achieve a solid, over 10 percent market share here. It had 13 percent back in 2008, but this has faded now, like for most foreign companies.” Firms venturing here lose in distribution infrastructure, marketing and brand image compared to Korean ones. This costs a fortune to overcome. Most foreign brands don’t make that choice, said Kim. Here as it is elsewhere, their main obstacle now is Samsung, whose global dominance has intensified. Kang said foreign large companies other than the Taiwanese firm such as Nokia or Research in Motion (RIM) made minor dents in the market in the past but all failed due to a lack of understanding of the local market. As Korea companies such as Samsung become truly “huge” global players, other emerging Asian companies such as HTC or ZTE, a Chinese telecommunications equipment maker, fail to match them in marketing budget or production capacity, said the analyst. California-based Apple is the only one with a noteworthy market share here. According to analysts, last year, it sold 2.5 million iPhones out the total 25 million handsets that were sold in Korea. 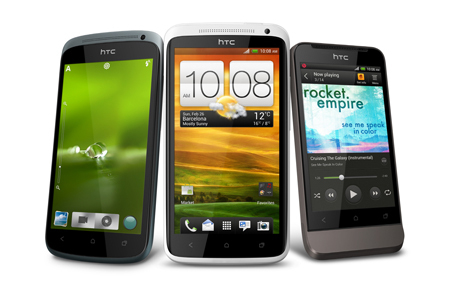 It is speculated to have around a 5 percent smartphone market share as of July.